I am not a believer. I never believed that a holiday in a heavenly place would be for me and me alone. Its not that I have not been on a holiday,but a holiday alone-without any family member.That was the magical bit. A magical holiday and an even more magical experience. This five day holiday thanks to #TourismMalaysia was a godsend. Suddenly I know ,serendipity is not an accident. 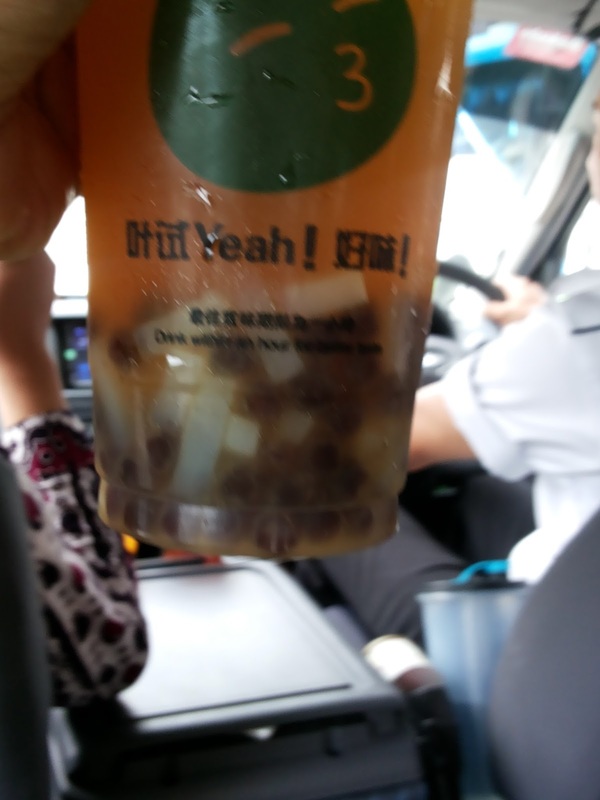 My favourite drinks in Penang,Malaysia were Nutmeg Drink and the Ice teas with Black Pearl/Basil Seeds/Coconut Jelly. 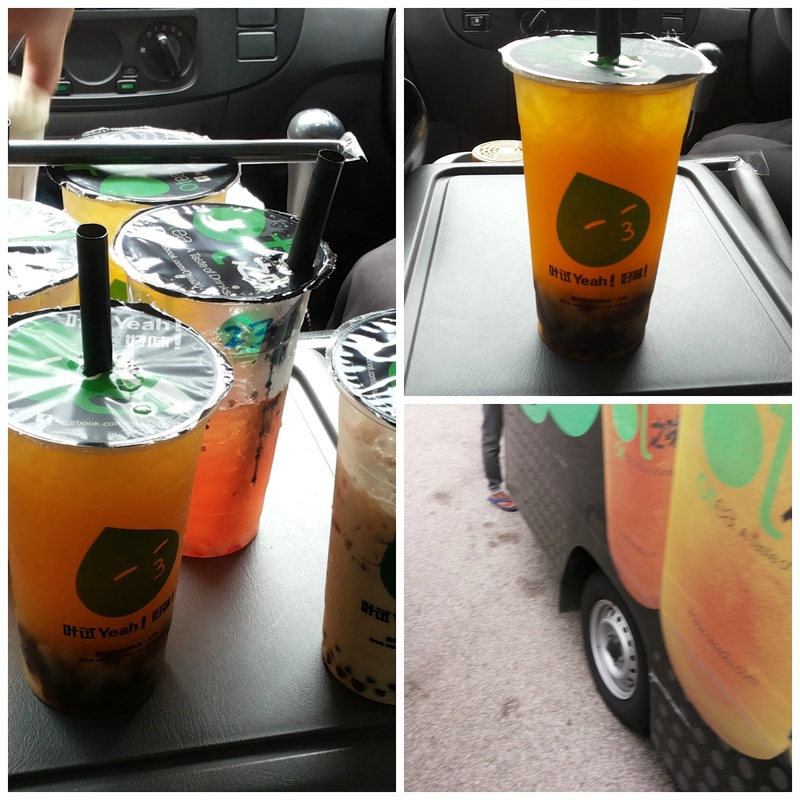 This tea truck was waiting for us out side the Blue Mansion in Penang on that hot summer day. And it was just what we needed. 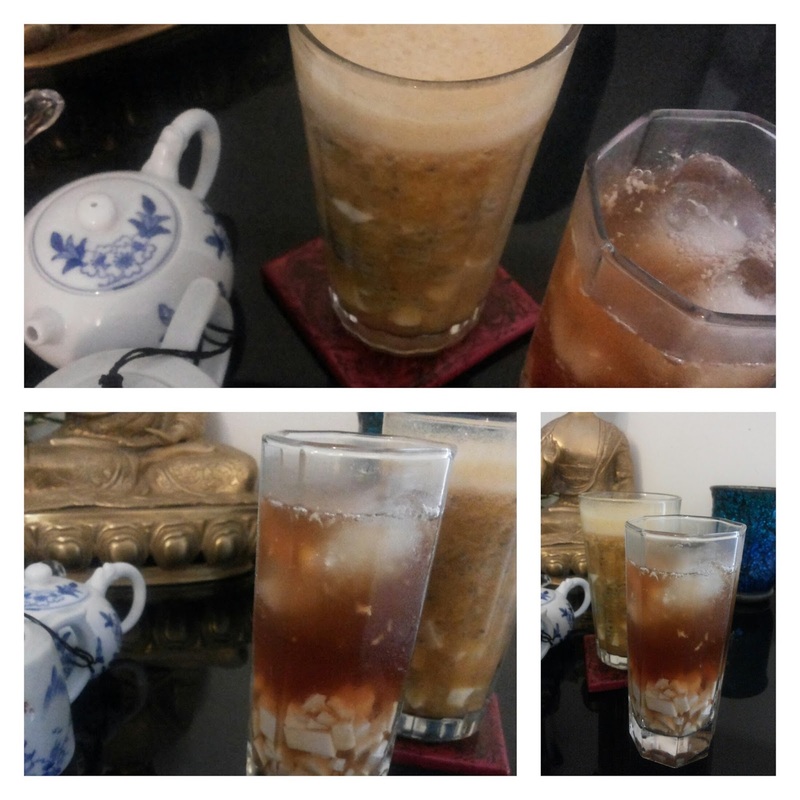 Since I could not recreate the nutmeg juice, the Ice tea had to be done. The Black Pearls are not available here in Mumbai,neither is the coconut Jelly,but I had to try this. For you guys. This is my attempt to recreate my Malaysian Holiday. 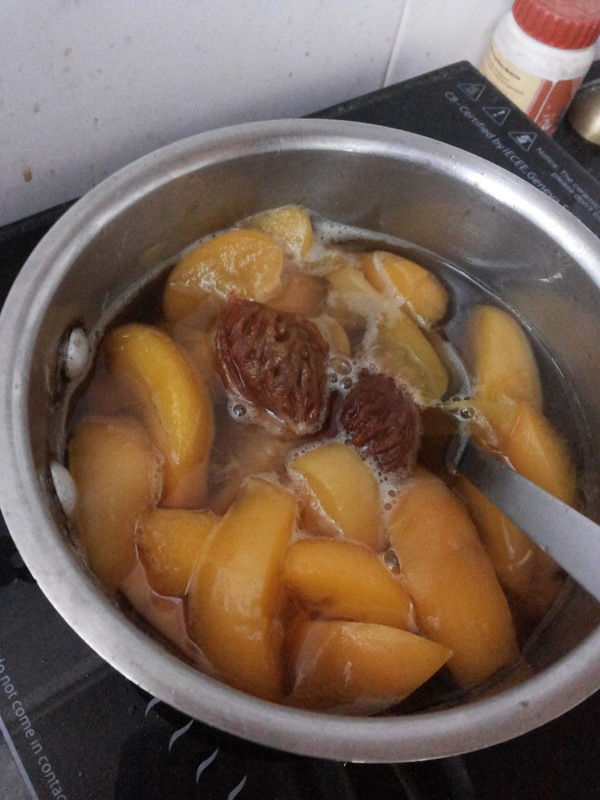 Boil the water and sugar till the sugar dissolves. Allow to cool and then sprinkle the gelatin over. Once the gelatin has blossomed,mix well and pour in the coconut milk. Pour into a wide plate or tray and allow to set. You can add food colour,but coconut is naturally a pale white ,so I avoided the food colour. 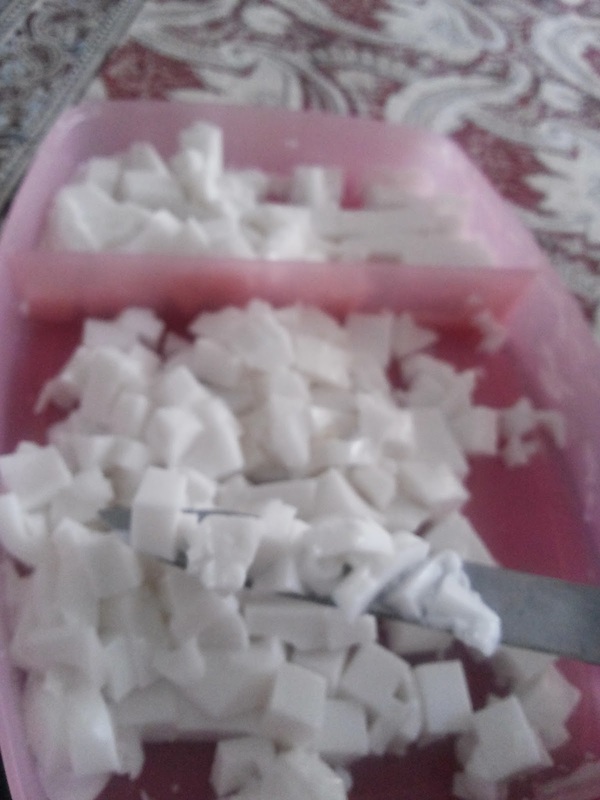 Once the jelly sets,run your knife in lines and chop into small pieces. Place the pieces in water and keep in the fridge till you need to use them. Soak the basil seeds in water and use after an hour. Or do what I do when peaches are in season. Or for that matter any stone fruit. Steep the two tea bags-green or regular in 1 cup boiling hot water till cold. Squeeze all tea liquor . 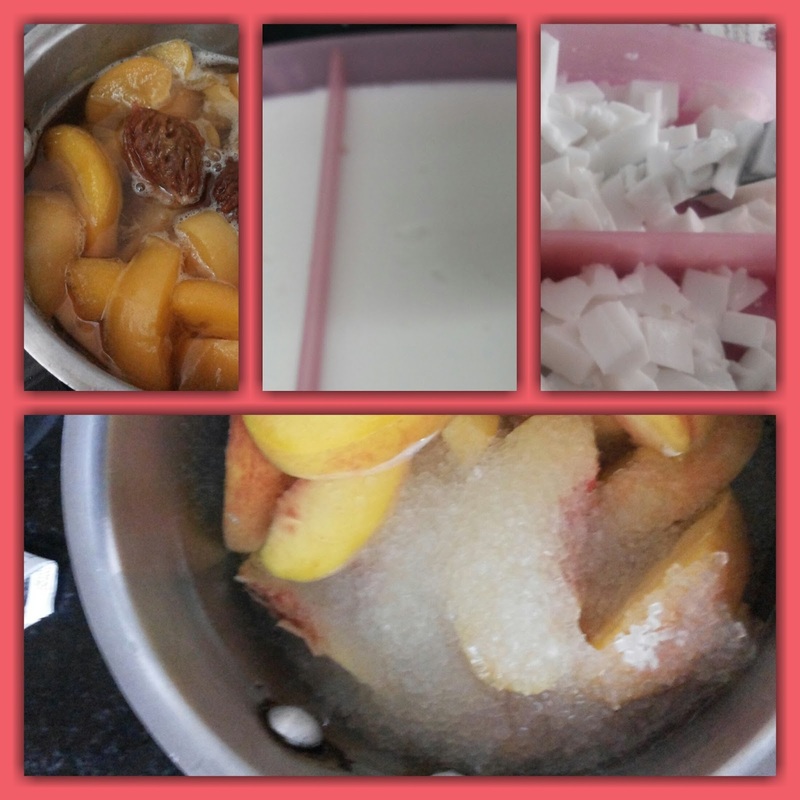 Chop 2 peaches and boil in a cup of water and 1/2 cup of sugar till the peaches are soft. Add to this cold steeped tea and add ice and lemon juice to taste. 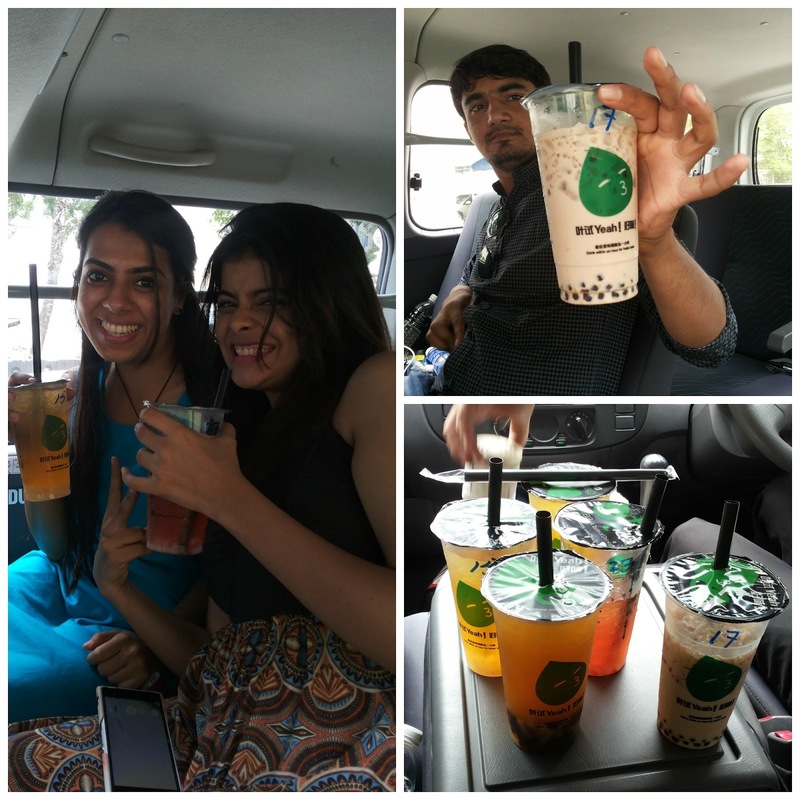 The tea truck had many flavors on offer and a caramel flavoured Milky ice tea too. The girls made Jayanti try it and nice guy that he is, he pretended to thoroughly enjoy it. The girls enjoyed the glee more. 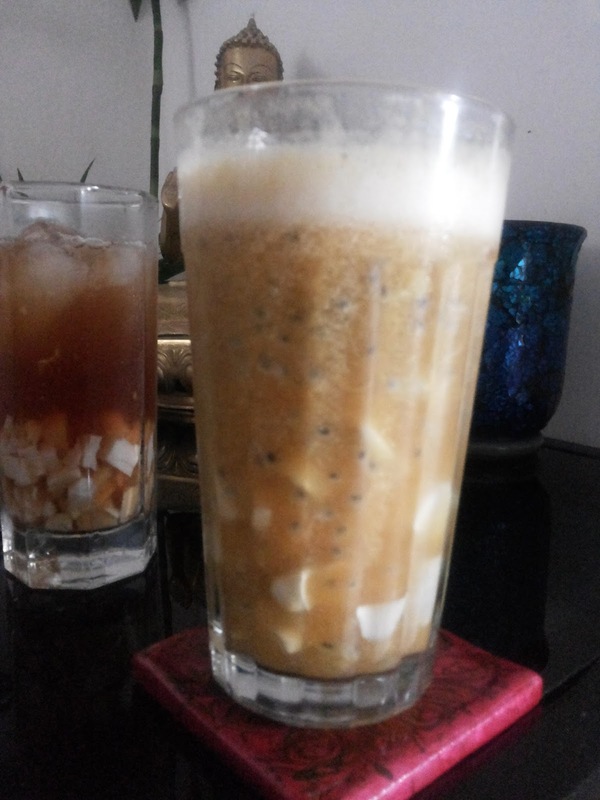 The coconut Jelly and the basil seeds into the glass with a couple of cubes of ice. Store bought ice tea is crystal clear and has more sugar.But the jelly shows through. And the ice tea poured over. Sip this golden drink and you will be pleasantly surprised when the straw pulls up bits of coconut jelly. Soft and coconut-ty…almost like the nariyal pani with an explosion of flavour. Healthy and exotic all rolled into one. You may -of course change the amount of sugar to suit your health needs and taste. The Peach you know is good for you, coconut-excellent and the lemon juice and basil seeds or sabza dana are fantastic in this heat. So what are you drinking today?? ?